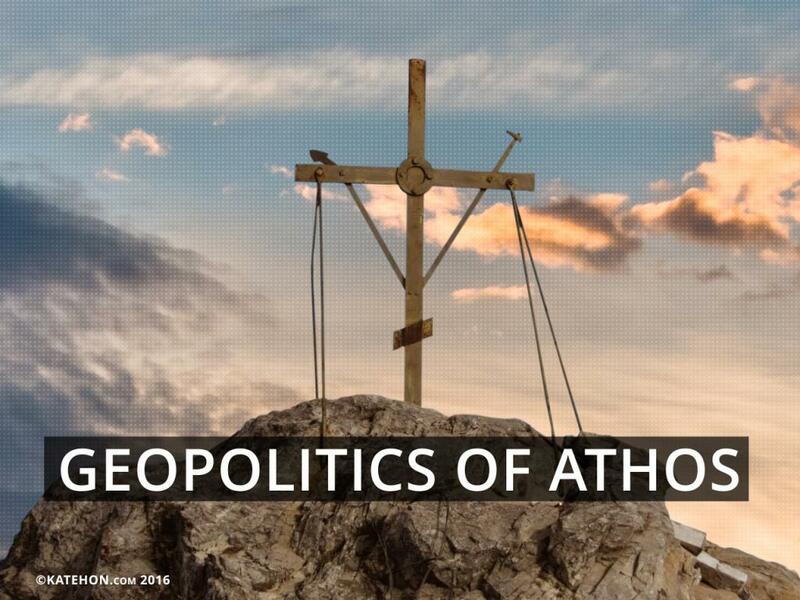 The first thing with which the word “Athos” is associated is the sacred place. In every religion, there are especially revered places linked to the cult of ancestors, the energy of strength and grace, theophany (the incarnation of a deity), as well as a special, spiritual organization of space. Unlike the ancient polytheistic and even monotheistic such places, the peninsula of Athos has been associated with a spiritual component since ancient times - not only as a space, but also as a time, since the Byzantine times continue to flow by in both a literal as well as figurative sense on Mount Athos. Only the Julian calendar (which is also used in the liturgical cycle of the Russian and Serbian Orthodox Churches) is used at Athos. The Athos peninsula became independent from Persia in 492 during the Greco-Persian Wars begun by King Xerxes. According to legend, when the further expansion of the Persians came, one of Xerxes’ war lords, Mardonius, did not dare lead a military squadron south of the Athos Cape. But then it was decided that a canal would be dug in the area of Acantha, which would give the Persians the opportunity to henceforth divide their forces, sending one portion of their soldiers to Aegean Macedonia, and the other by the sea along Halkidiki. The Persians invaded Thessaly and marched farther to Attica, from which the road to Athens ran. Later, when Alexander the Great, inspired by the Persian example, created his empire, his architect, Dinocrates, suggested that he make a statue out of Mount Athos. The statue was to be an image of Alexander himself, with a city placed in one of his hands and in the other a cup from which water collected from mountain springs would flow into the sea. Alexander liked the idea, but he refused to implement it, so Dinocrates realized another project, the construction of the city of Alexandria on the Mediterranean coast which would become the capital of the ephemeral empire of Alexander the Great. Thus, Athos became a symbolic link between Hellenistic culture and philosophy on the one hand and the imperial tradition of Persia on the other. In 676, Emperor Constantine Pogonate gave the entire peninsula in perpetuity to the monks inhabiting it. But the truly monastic republic of Athos began only after the Qunisext Council (The Council in Trullo) in Constantinople in 692. The council established rules for ascetics and, given the large amount of wanderers at the time in part due to the Muslim invasion, these people rushed to Athos en masse. In 883, Emperor Basil the Macedonian affirmed Athos to be a place for the exceptional residence of monks. From that time on, the peninsula became a state only for men (even female animals are forbidden on Mount Athos) and a place in which there are only deaths, no births. This important, solar-vertical symbolism remains Athos’ slogan to this day. “Orthodoxy and Death” is not said, but implied (not to be confused with the famous slogan “Orthodoxy or Death”). Just as how Christ himself “overcame death by death”, the monks of Athos are likened to angels in their spiritual endeavor and overcome Second Death. The ideas of monasticism spread to other countries and regions from Mount Athos, albeit of different trends, such as Egyptian monasticism of the deserts and the Syrian tradition of the Stylites. The founder of the Kiev Pechersk monastery, Anthony, was tonsured at Athos, where he received the instruction from God to return to Russian lands. In 1028, Anthony returned to Kiev where he lived as a hermit in a cave. Once he had gained disciples, they dug a new cave together where they built cells and a church. Thus was built the Kiev Pechersk Lavra. From the first centuries of Christianity, monks were already a serious political force, which is evidenced by numerous incidents at the first councils. In huge number with clubs in hand , monks could show up to defend their point of view at the house of any bishop or at any gathering where delicate metaphysical questions were being discussed. It is also important to note that monasticism became the third institution of the Church. Priests represent the institution of the clergy, while politicians (earlier emperors, now heads of states) belong to the laity. Taken together, this is the symphony of powers which existed in Byzantium. The monks were excluded from this hierarchy, but the uniqueness of the Athos state lies in that it synthesizes both powers in the third institution of the monks. Moreover, unlike the Vatican, to whom any tourist, including a woman, can go, Athos remains male, albeit open to the outside world for pilgrims of any confession. The Athonite monastic tradition remains nearly uninterrupted since its very beginning. Even after Byzantium’s occupation by the Turks in the 15th century, Athos continued to enjoy many privileges. During the period of repressions following the Greek uprising in 1821, the monks were forced to settle on the islands for some time, but the Russian Empire played a leading role in ending the Turkish occupation and returning the monastic estates, as reflected in the Peace Treaty of Adrianople of 1829. The autonomous governance of Athos was instated under Emperor John Tzimiskes in 927, who published the Chrysobull (or “golden bull”) on this matter. The echoes of this first charter were later confirmed in the Lausanne Treaty of 1923 according to which Greek sovereignty over the peninsula was established. The current constitution of the Holy Mountain, the 1924 Statutory Charter of the Holy Mount Athos, was ratified on September 10th, 1926 and has the force of state law in Greece. The special status of the Holy Mount is enshrined in Article 105 of the current Greek constitution. During the Balkan Wars, Athos’ status was contested by different parties. At the London conference in December 1912 - January 1913, Russia offered to grant Athos the status of “an autonomous monastic republic” under the protectorate of the six Orthodox states of Russia, Greece, Romania, Bulgaria, Serbia, and Montenegro, but this project was rejected by the Greek monks. Athos has its own legislative and judicial bodies and a special council is convened two times a year. Executive power is vested in the Sacred Council consisting of the representatives of the 20 monasteries. Although Athos territorially belongs to the Republic of Greece, the church jurisdiction is different, as it is subordinate to the Patriarchate of Constantinople (since 1312) located in modern Istanbul. Nevertheless, different monasteries and sketes exist on the peninsula. The vast majority are Greek, but there are also Russian, Serbian, Bulgarian, and Georgian ones. However, they should be understood not in ethnic and national terms, but according to their belonging to the Universal Orthodox Church. The ethnocentrism of the ordinary citizen is erased as soon as he vows allegiance to the Athonite state. An interesting nuance associated with spiritual hierarchy is that the Iviron monastery has no abbot, since the Mother of God herself is considered to be its head. As befits the state, Athos has its own “embassy.” In this case, Athonite ecclesiastical embassies (metochion) exist in Greece, Russia, Ukraine, Turkey, and France, the latter being of particular interest since, according to the Athonite Charter, worship services on Athos are to be held in French. Although the number of monks on Mount Athos greatly diminished over the 20th century, the influence of the spiritual culture and traditions of Athos remains enormous. The point is not even Athos’ Byzantine legacy, the teachings of its many holy fathers (such as St. Gregory Palamas’ Hesychasm), or the prophecies it has yielded. New generations of monks regularly visit the land of the Holy Mountain, and the constant circulation of pilgrims, including both clergymen and laymen, are living testimonies of the piety of Mount Athos stretching to all corners of the Earth.